The Apple TV has been always considered a hobby by Apple. With the release of Steve Job’s biography, it turns out it was a step into a much larger picture. Whatever issue was preventing the television set from becoming a reality was solved, or in Steve’s words, “finally cracked”. The rumors all seem to point that an iTV is in the works with internal Apple TV software. 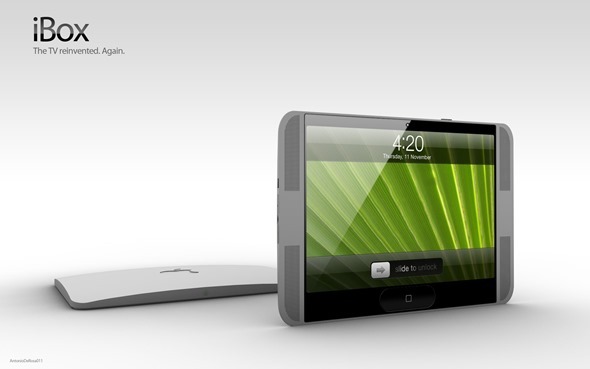 And with each new product in the works, new concepts are shared all over the web. 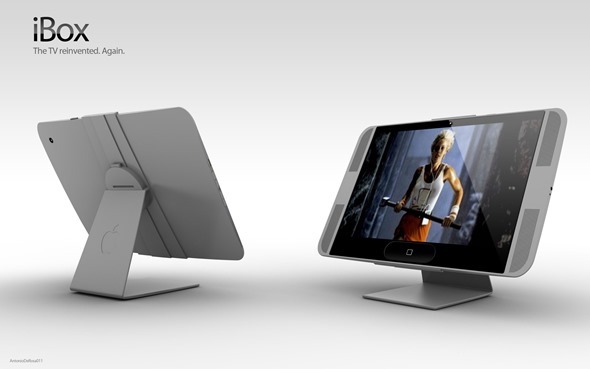 The latest concept by ADR Studio is a set top box and tablet combo called the iBox. 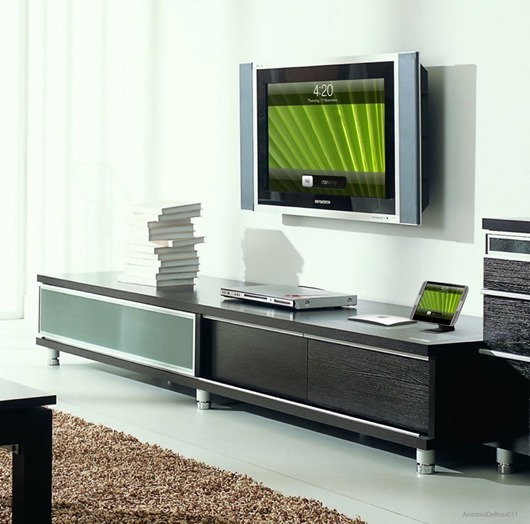 The iBox comes with most of the features you would expect such as Siri and those found in current Apple TVs. Information is not given whether it would replace or work with your current set top box. Although to replace the cable box, Apple would have to work out deals with the cable companies; that doesn’t seem likely. 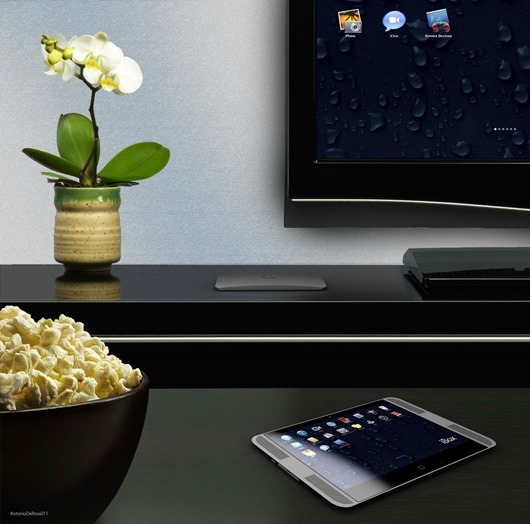 The tablet part of the combo is a touch screen device that controls the part that’s attached to the TV. That’s all the details that are given but given the speakers on each side of the device, you’d probably be able to stream what’s on your tablet to your TV and vice versa. The concept also includes a feature they call iMove. Although not a lot of information is given, it seems to work in a Microsoft Kinect type fashion where you “move your body” and the box responds. I imagine if you pretend you are using a phone; the box would then open a phone app, or if you act like you’re eating, the iBox changes the channel to the Food Network. I think they went a little to far with that one; It reminds me of the April Fool’s gag Google published this year. Unfortunately, this is a somewhat a disappointing concept. 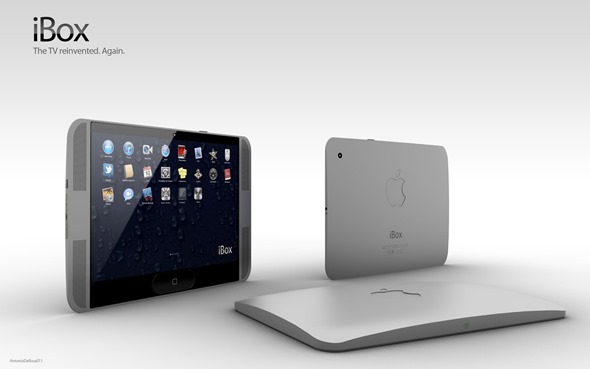 The iBox is bigger than the current Apple TV model, and the tablet that comes has no new purpose. Why wouldn’t you use an iPad instead? 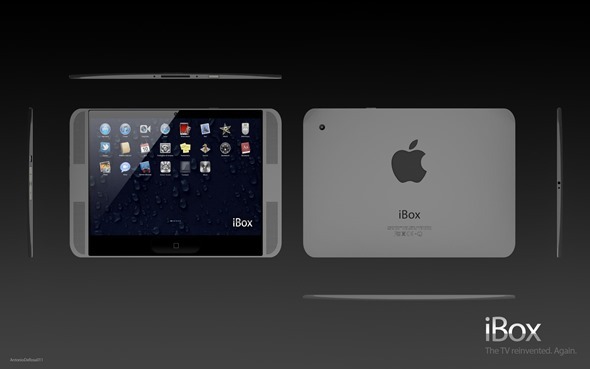 Although iBox is obviously fake and is indeed a concept, it does make you wonder what features would be nice to have in a future iTV. Having Siri on a TV would be amazing, so would be the compatibility with all my iDevices and iCloud. As an owner of the current Apple TV model, I would say that I’m happy with it. Still, I would need more features to convince me to upgrade my existing TV set. iMove might not just be one of them.